After hitting a man with his car on Robbin Road, just off of Warrensville Road, on Sunday afternoon, the driver fired a single shot at the pedestrian – but missed him – before fleeing the scene, according to state police. The pedestrian was not seriously hurt and declined treatment for injuries he suffered about 2:40 p.m. 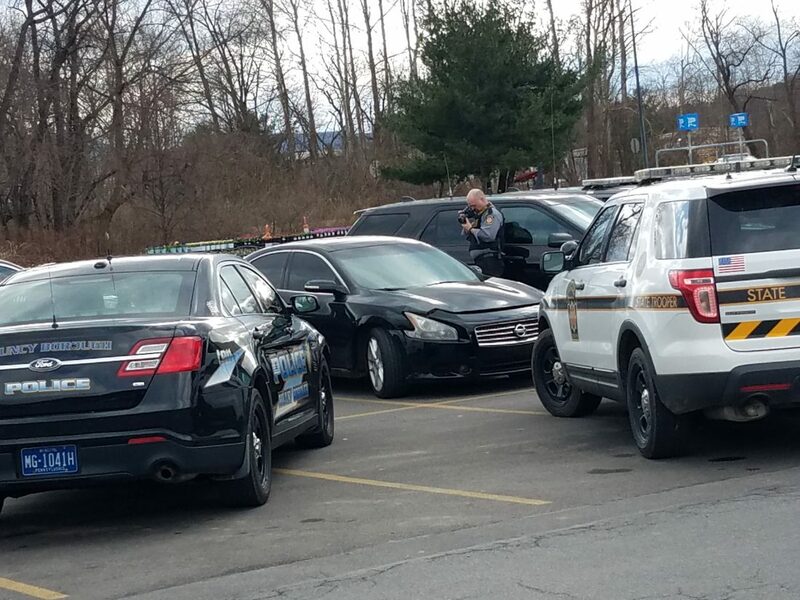 Shortly after the incident, police found the hit-run vehicle parked unattended in the parking lot of Walmart, at 1015 N. Loyalsock Ave., but the driver remained at large as of Sunday night. State troopers along with Loyalsock Township firefighters and paramedics initially were dispatched to the area of East Third Street and Warrensville Road for a report of a pedestrian struck by a vehicle. While en route, emergency responders initially were told by a dispatcher that the victim had been shot. Firefighters and paramedics stayed out of the immediate area until troopers arrived and secured the scene. It was then determined that the victim had been shot at, but not wounded, police said. “The victim got hit by a vehicle. He stood up. He saw a gun. He tried to run,” a state police supervisor told a reporter. After the shot was fired, the driver backed up the vehicle, but quickly fled after seeing other people around, the supervisor said. The shooting actually took place on Robbins Road, a short street that runs between Warrensville and Sand Hill roads, just north of East Third Street. Witnesses at the scene gave police a description of the hit-run vehicle, including its registration. Once the vehicle, a Nissan, was located at Walmart, more than a dozen police officers converged on the store. Police cruisers surrounded the car, preventing it from being moved. Officers spent a consider time searching the store and reviewing Walmart’s surveillance video. The store remained open. The patrol supervisor said it was determined that the suspect had left the store unnoticed.